Since 1919, Elgin Industries has been one of the premier manufacturers of engine components. Looking for a hydraulic camshaft and lifter set in one complete package? You have come to the right place! 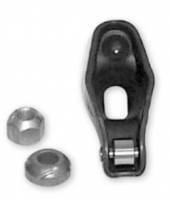 PitStopUSA.com stocks cam and lifter kits for popular applications. Pit Stop USA is The Online Motorsports Superstore! We feature Hydraulic Lifters for Small Block Chevy at low everyday prices. Pit Stop USA is The Online Motorsports Superstore! We feature Hydraulic Lifters for Small Block Ford at low everyday prices. Pit Stop USA is The Online Motorsports Superstore! 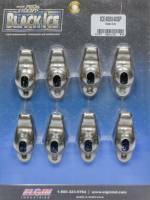 We feature Roller Tip Stamped Steel Rocker Arms for Small Block Chevy at low everyday prices. Pit Stop USA is The Online Motorsports Superstore! We feature Solid Lifters for Small Block Chevy at low everyday prices. Pit Stop USA is The Online Motorsports Superstore! 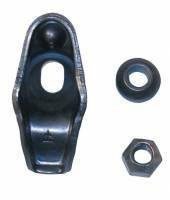 We feature Stamped Steel Rocker Arms for Small Block Chevy at low everyday prices. 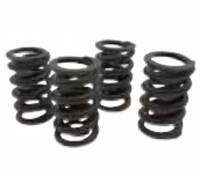 Check out the Recently Listed Valve Springs. Elgin Performance Valve Springs - SB Chevy - Stock Diameter - 125 lb. @ 1.750", 325 lb. @ 1.200"
Pit Stop USA is The Online Motorsports Superstore! Quality. Attention to detail. Exceptional customer service. Theyave been hallmarks of Elgin Industries since its founding in 1919. Elgin Industries recently launched a comprehensive rocker arm production department featuring 14 state-of-the-art universal presses and precision tooling for a full range of popular automotive and performance applications. In addition to its new in-house rocker arm department, Elgin has expanded its portfolio of other original equipment and replacement engine components, including valves; valve springs, spring inserts, retainers, seats, locks, and guides; lifters; oil pumps; push rods; timing components and sets; and ElginA PRO-STOCKA performance components. Elgin also offers a broad range of replacement automotive chassis components as well as precision-engineered OE and replacement king pins and sets for commercial vehicles. Elgin Industries is a Tier One supplier of engine and chassis components to organizations like General Motors, Mack, Navistar, and Harley-Davidson. The company operates an advanced manufacturing and headquarters facility in Elgin, Ill. Elgin also operates one of the worldas most extensive heat-treat facilities, serving leading manufacturers across the midwestern U.S., and recently expanded its in-house finishing capabilities with CNC machining cells. We feature Elgin Solid Lifter Performance Camshafts, Elgin Performance Valve Springs, Elgin Hydraulic Lifters, Elgin Solid Lifters, Elgin Stamped Steel Rocker Arms and Elgin Roller Tip Rocker Arms at low everyday prices!